Millions of people annually have their own March Madness traditions. 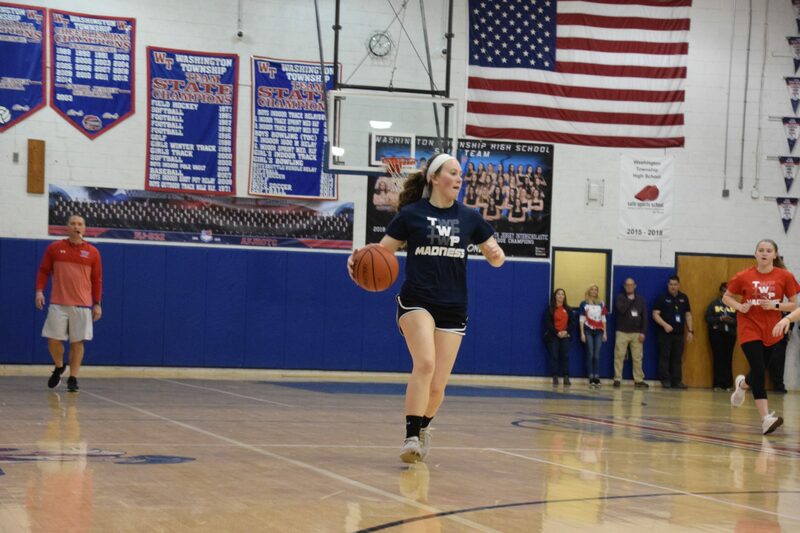 Whether it’s a work pool, filling out a bracket for credit in your math class or submitting one online with the hope of hitting the grand prize, March has become synonymous with basketball. Washington Township High School is no exception. 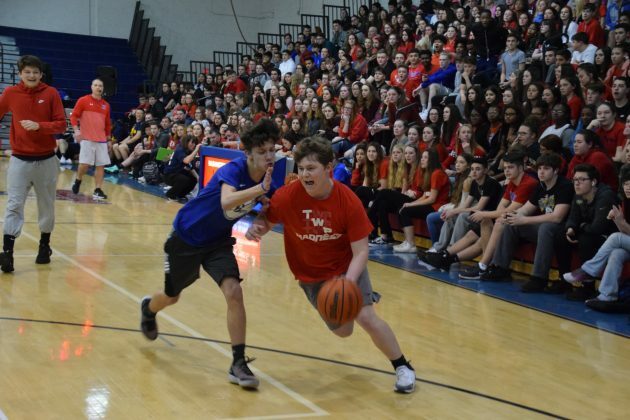 On March 29, the school kept its 20-year tradition alive by holding the annual March Madness basketball game for the freshman and sophomore classes boost the healthy competition between them. 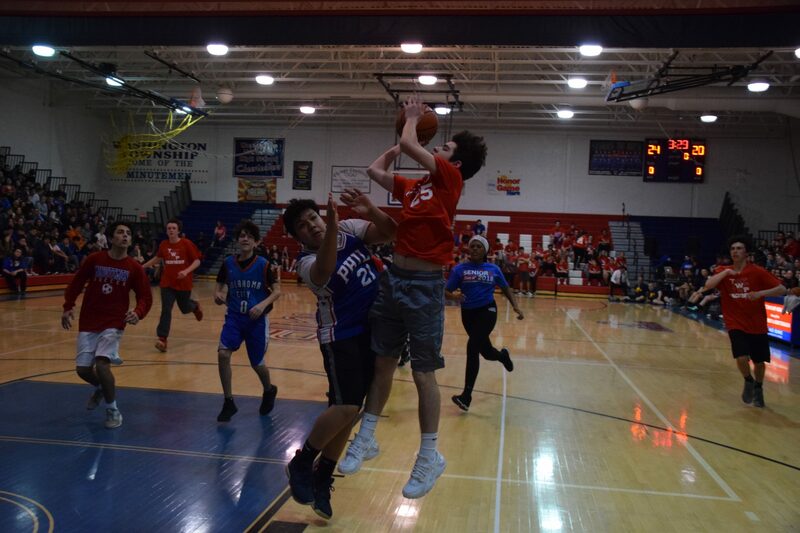 “We try to up the spirit of each class, the freshmen and sophomores, so we put on the event to continue the township pride we have here,” event coordinator and advisor of the freshman class Kim Griffiths said. What makes the tournament unique is it isn’t just one team of freshmen vs. one team of sophomores. 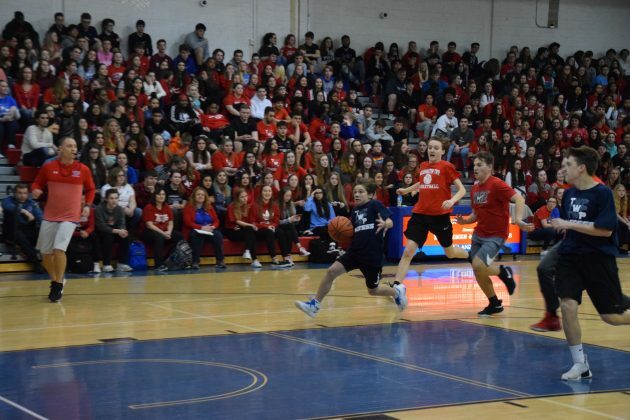 Within each class were eight teams that played four-minute segments of games with a running score. When the clock hit zero, the sophomores were deemed the winner, 41-38. 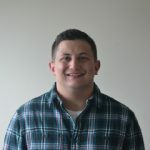 Building and maintaining the connection to the school is of the utmost importance for co-coordinator Amanda Hamer. For the second year in a row, the Washington Township Police Department was a part of the festivities. 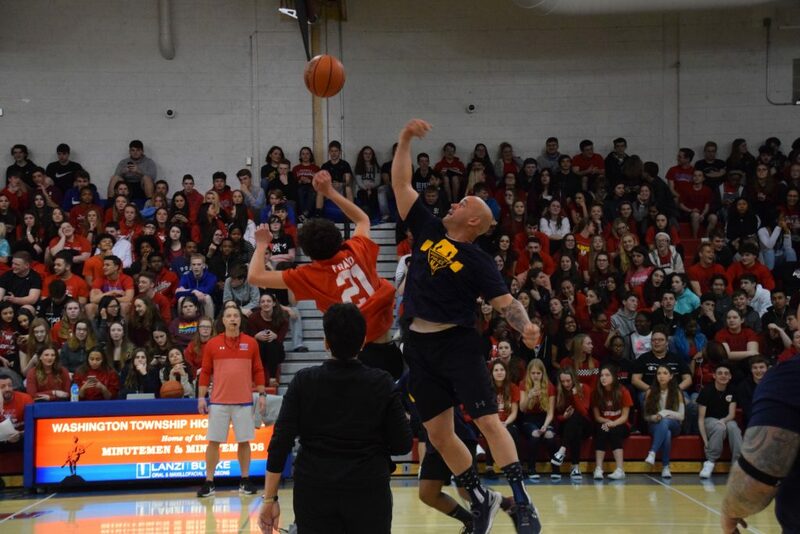 The police participated in some of the mini-games between the two classes. 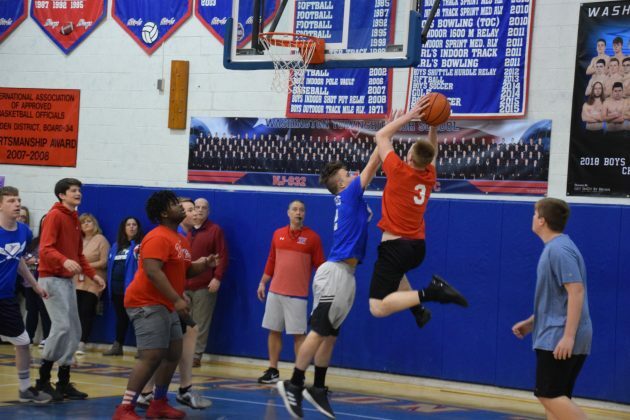 For Police Chief Pat Gurcsik, having his officers play in the tournament was a no-brainer, he said it fit perfectly with his department’s mission statement, which includes a lot of community outreach and community caretaking. 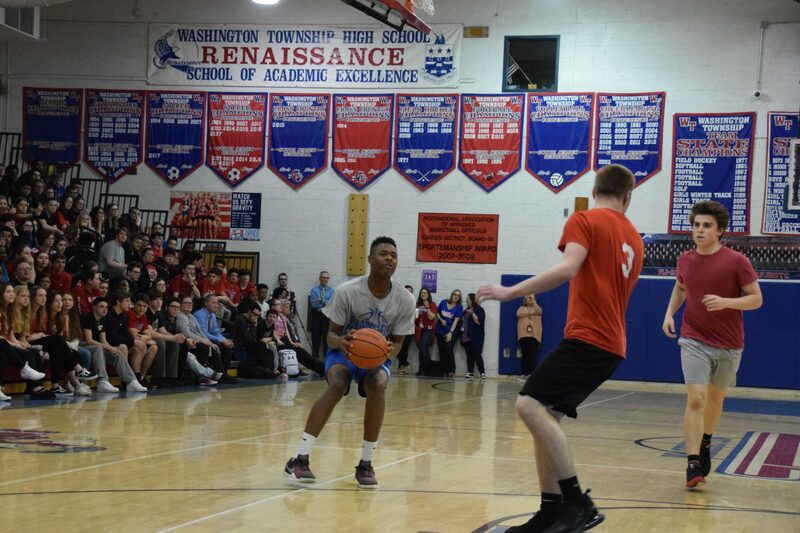 Once the game ended, there was one more challenge for each team – taking turns playing against the teachers and faculty. “We definitely like that the faculty took the time to play our students to finish the game in an exciting way because all students want to play against the faculty,” Griffiths said. While the sophomores walked away victorious, the event was not about winners and losers, more so about the memories made that will last a lifetime.